With figs in season right now, this appetizer is so easy to make and so delicious too! Fancy appetizers in under 15 minutes! Yes this recipe calls for only 3 ingredients! 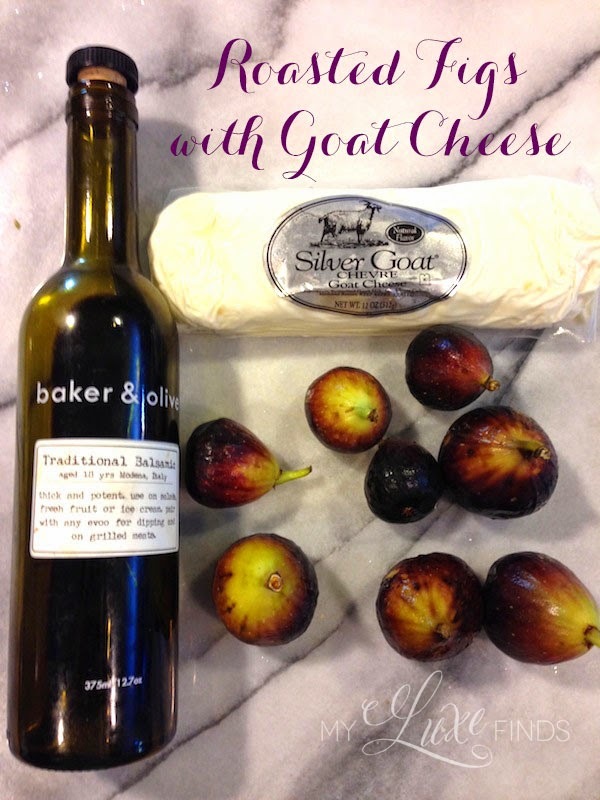 Fresh figs, your favorite goat cheese, and the balsamic vinegar (my favorite is this one by baker & olive - it's rich, sweet, and aged 18 years). Slice the figs in half, top with goat cheese, drizzle with balsamic vinegar and pop the whole tray in the oven at 350 degrees for 8 minutes. Serve warm.